Cybersecurity Roadtrip Film "Life Hackers" Debuts June 15th! See the trailer now! In December 2016, three young cybersecurity professionals embarked on a cross-country adventure - the CyberSecurity Roadtrip! 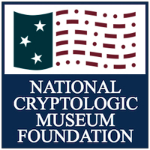 The trip kicked off at the National Cryptologic Museum and the journey was a great success. The cybersecurity roadtrippers were videotaped as they met with various cybersecurity experts around the country and the feature film is NOW available to view online. VIEW THE FILM AND/OR TRAILER NOW! The project was fueled by the U of MD University College and RoadTrip Nation. Read the UMUC press release about the release of the film. After June 15th, the film aired on Public Television, so check your local Public Television listings or just watch the film online. See below for more on the film and check out their website at RoadTrip Nation where you can learn more about their journey. 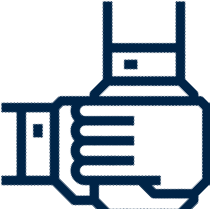 "Cybersecurity is a world that’s still taking shape. We went in search of the people pushing the edge of possible, to see what the future looks like. Delve into the possibilities of cybersecurity through the eyes of Antwan, Emily, and Mansi, three aspiring cybersecurity pros who are exploring what's possible in the wide‐open world of data, security, and more. As they talk to all kinds of innovators who are leading the charge to protect our online lives—hackers, engineers, executives, and more—they learn that cybersecurity is a place to experiment, explore, and create your own way forward."